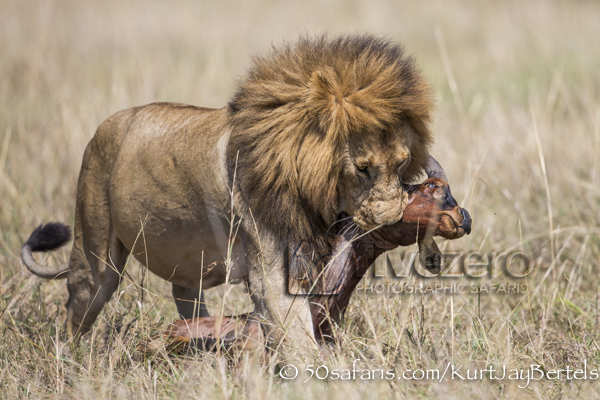 Published on October 25, 2017 by Kurt Jay Bertels. 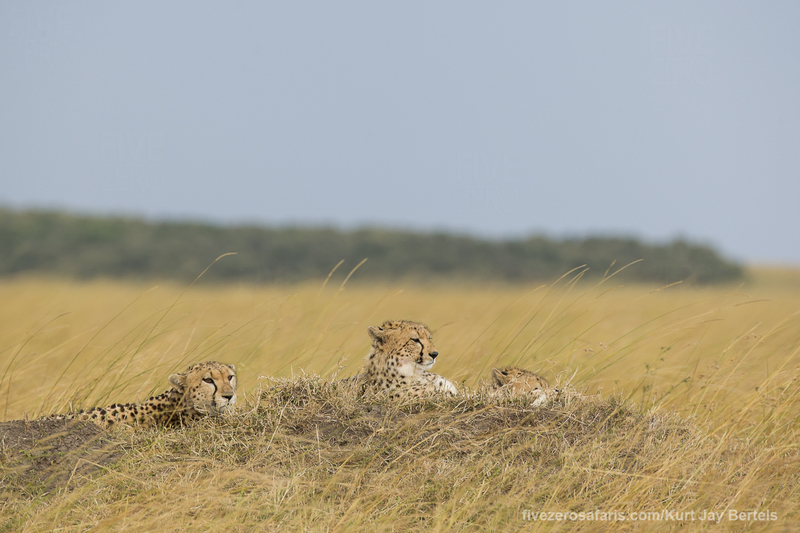 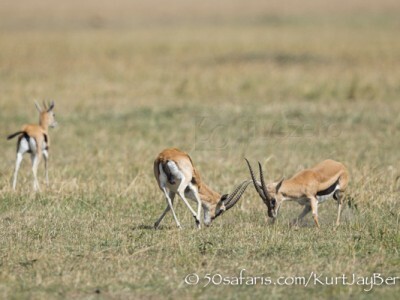 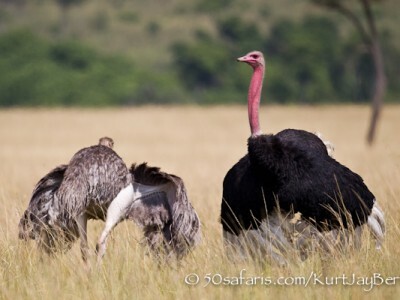 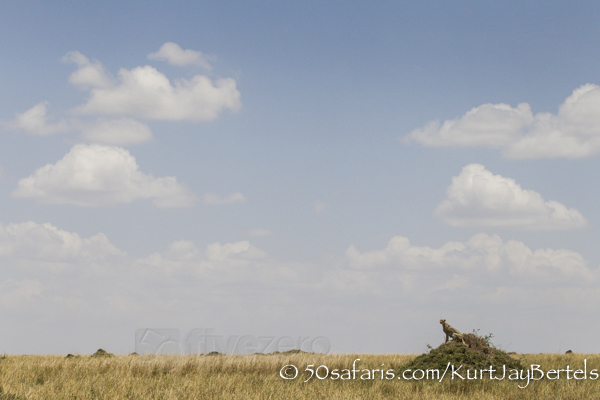 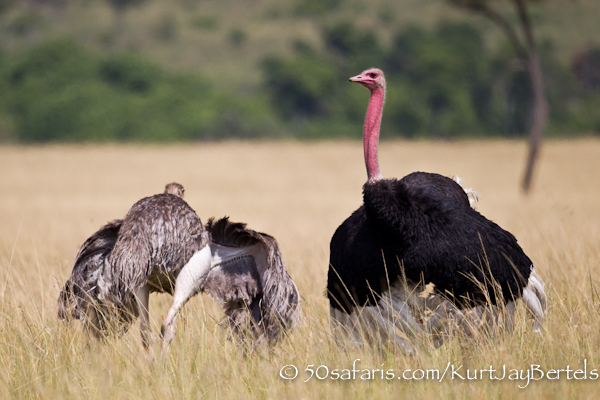 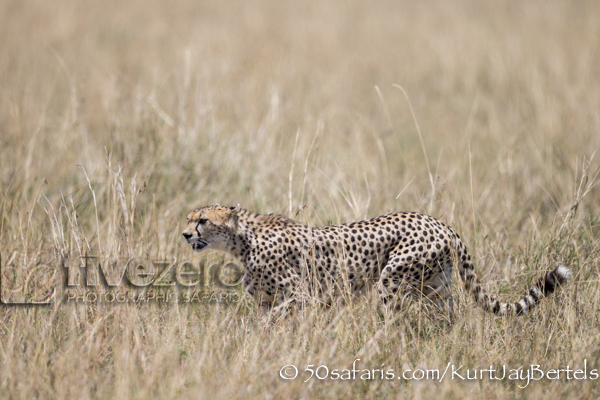 An amazing day on safari – this is why I love the Great Migration Safari! 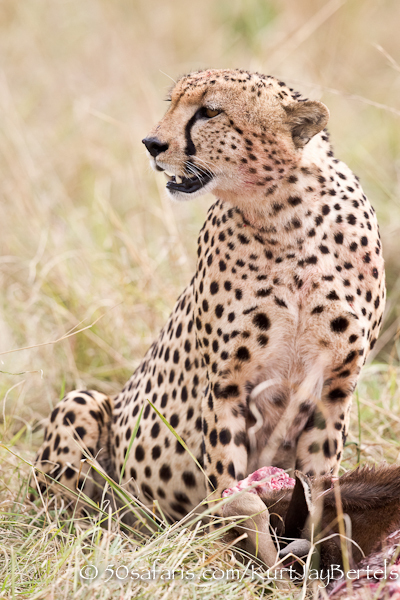 We started with a new hyena den close to the camp, quickly followed by a female leopard crossing the road in front of us. 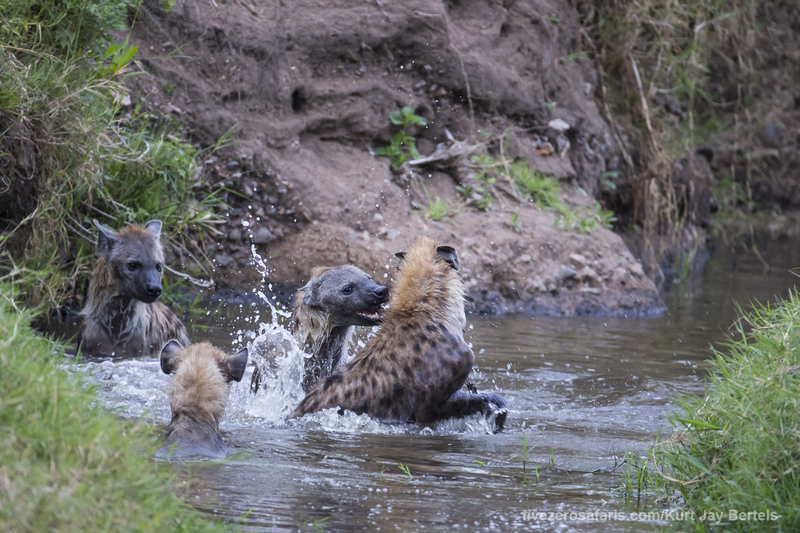 The hyenas kept appearing throughout the day, as did the elephants and buffalo, but there were 4 hyenas in particular that put on an amazing show for us. 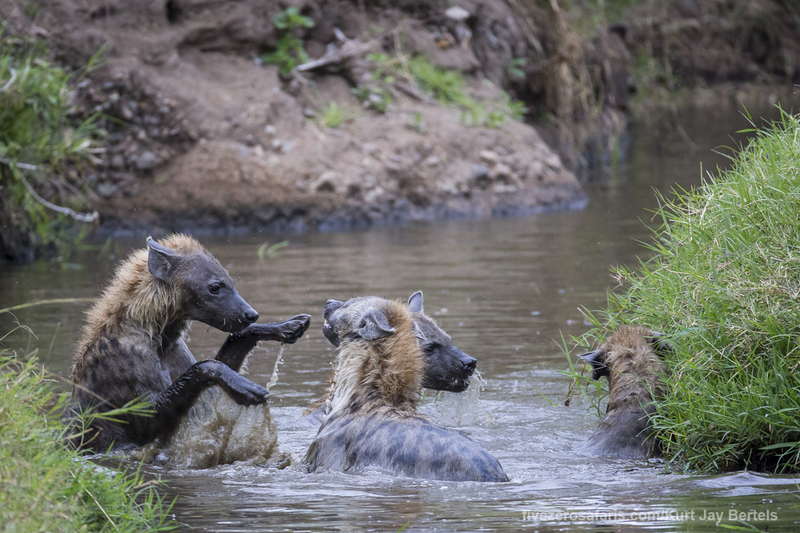 They spent the better part of an hour playing in a small stream, running in and out of the water, jumping on each other, and even playing with each other underwater! 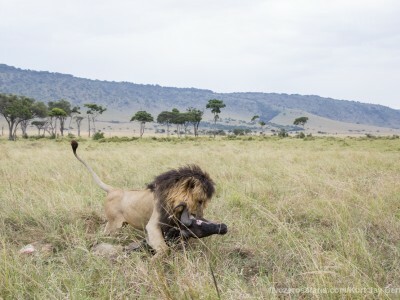 The resolve of the cameras was put to the test on that one, and came out winning. 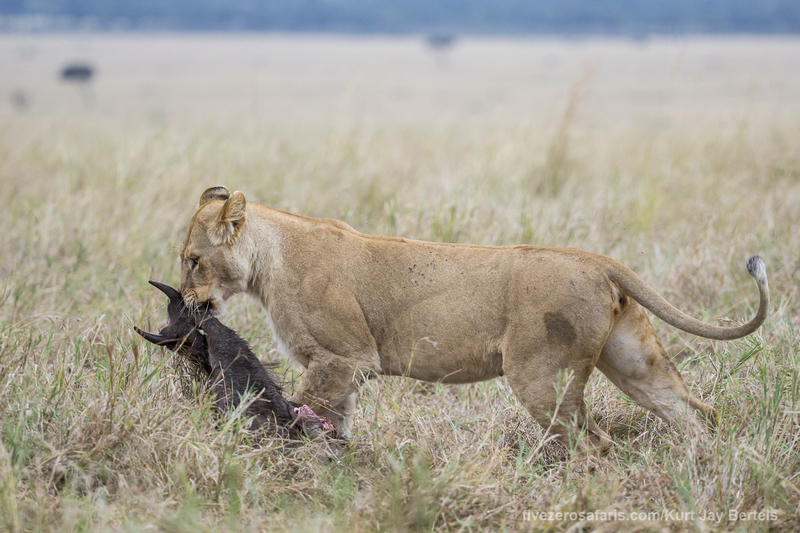 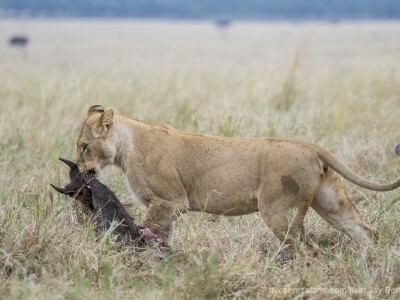 Immediately after the hyena fun, we found a lioness lying on her own, with 3 large buffalos nearby, but she took the safe option, and slipped away past them unnoticed. 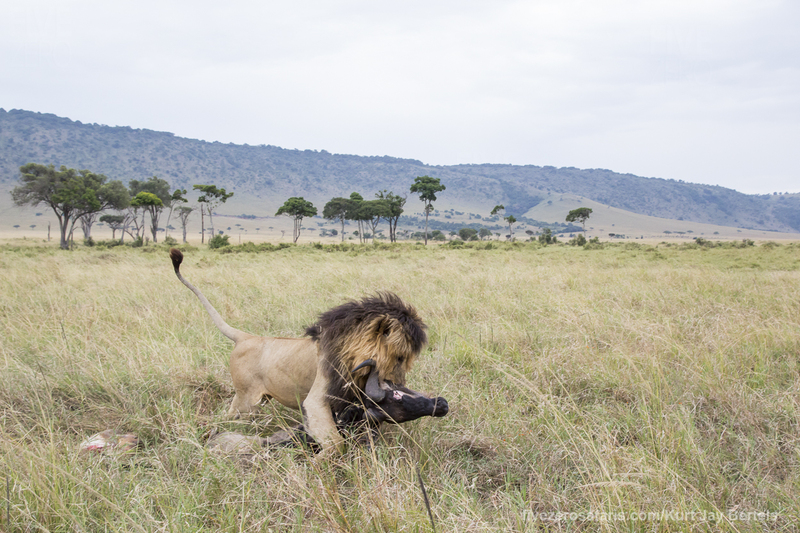 This was followed by a seriously large and impressive male lion dragging his wildebeest kill through the clearing to the relative shade of a small tree. 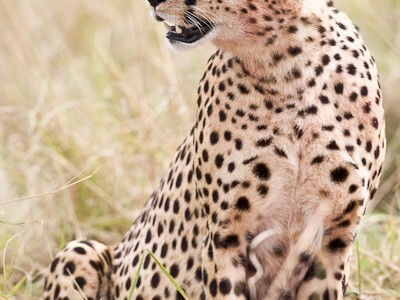 It was photographically wonderful! 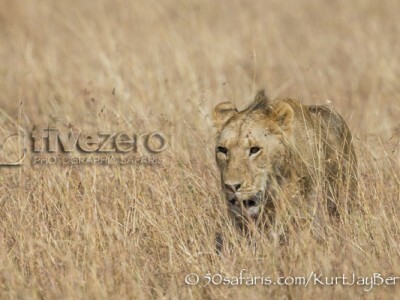 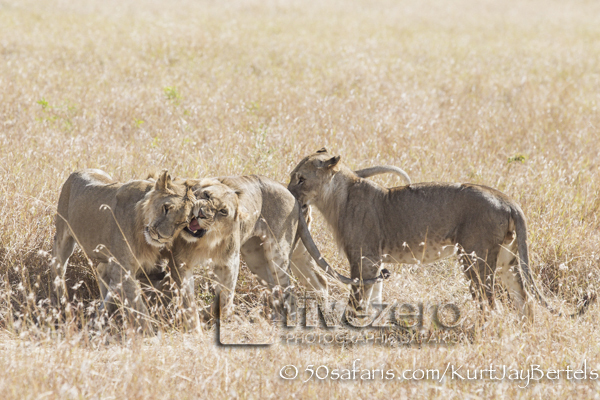 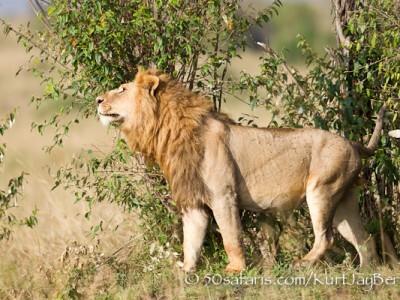 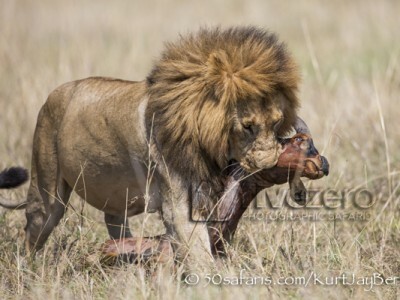 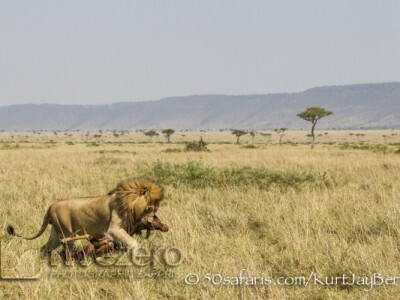 As if we had not yet seen enough or photographed enough, 2 more lions appeared, eating another unlucky wildebeest. 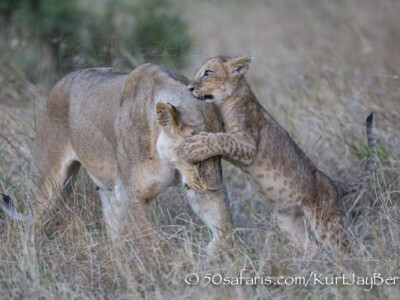 All this turned out only to set the tone for the rest of the day! 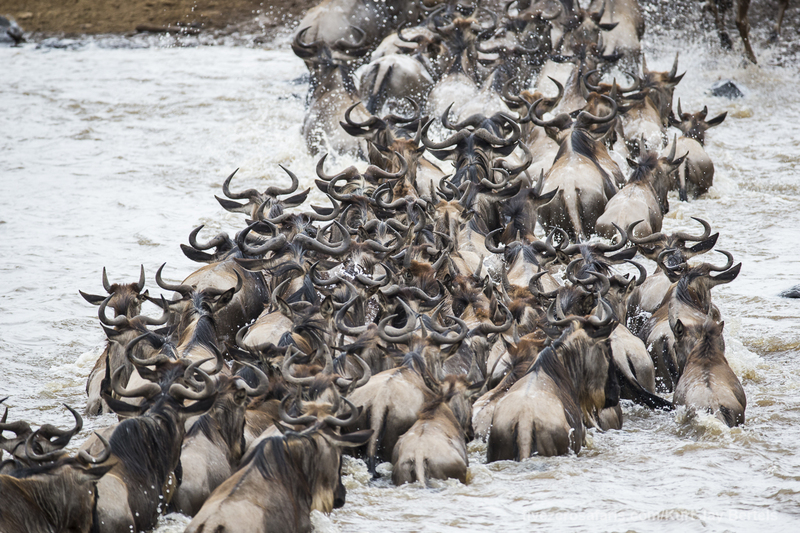 When you join the Great Migration safari, you hope to see and photograph the famous river crossings. 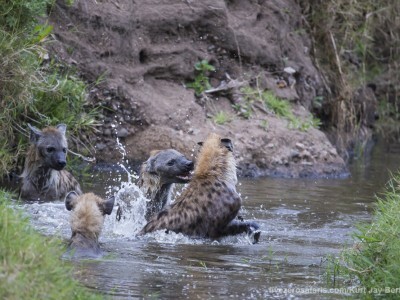 We were lucky enough to be at 3 different crossings with a front row seat to all the action. 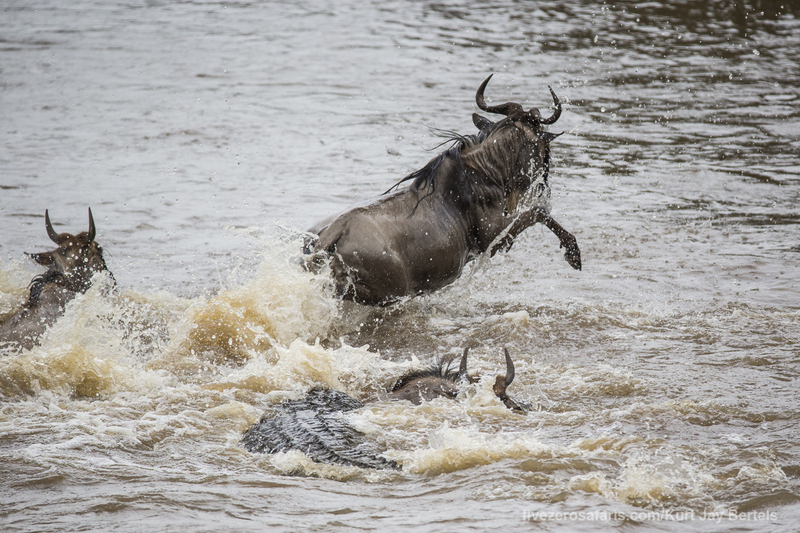 On one of the crossings, a crocodile made an appearance, and caught one of the younger wildebeest. 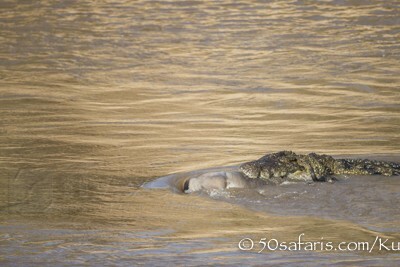 It is always sad to see the little ones get taken, but equally amazing to see those massive crocs in action. 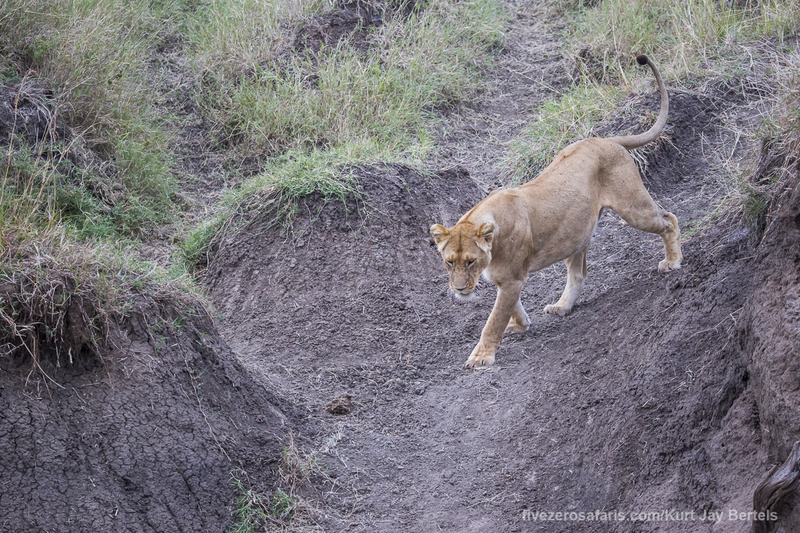 On the way back from the crossings, we lucked out even further by spotting a lioness in a tree, and 4 cheetah resting on a termite mound. 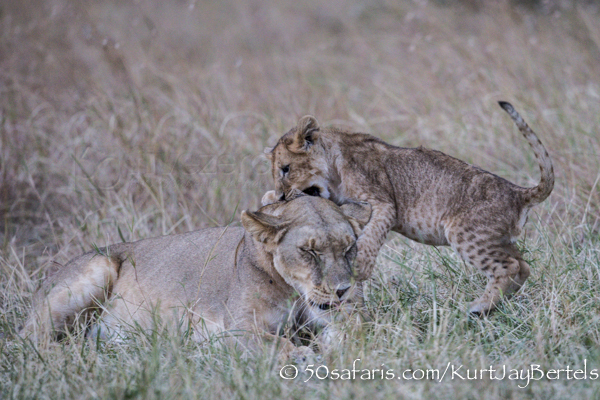 I have to say it again, what an amazing day on safari! 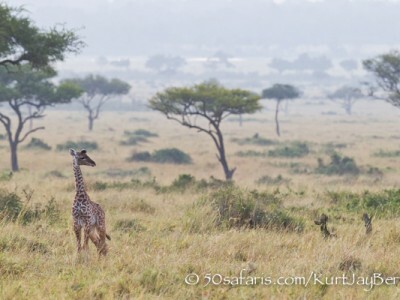 To join us on safari, click here! 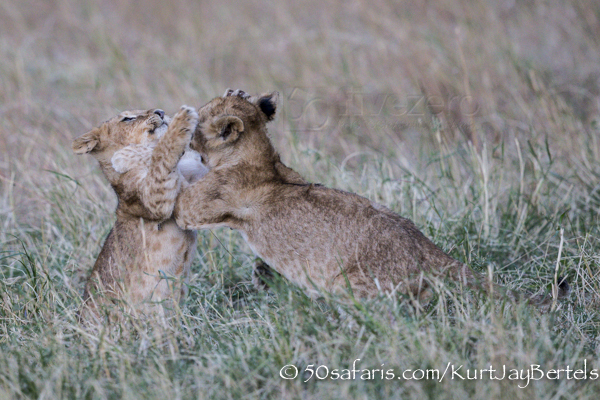 Published on September 27, 2015 by Kurt Jay Bertels. 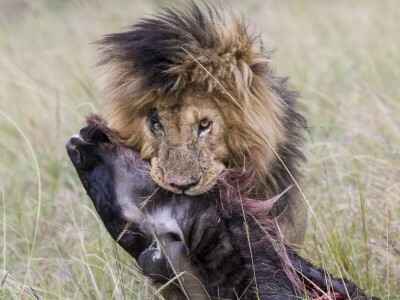 Cats and kills were the keywords of the day. 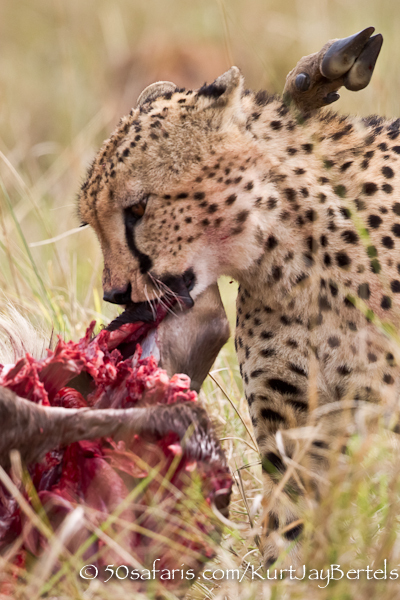 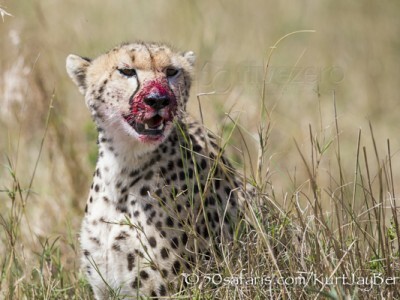 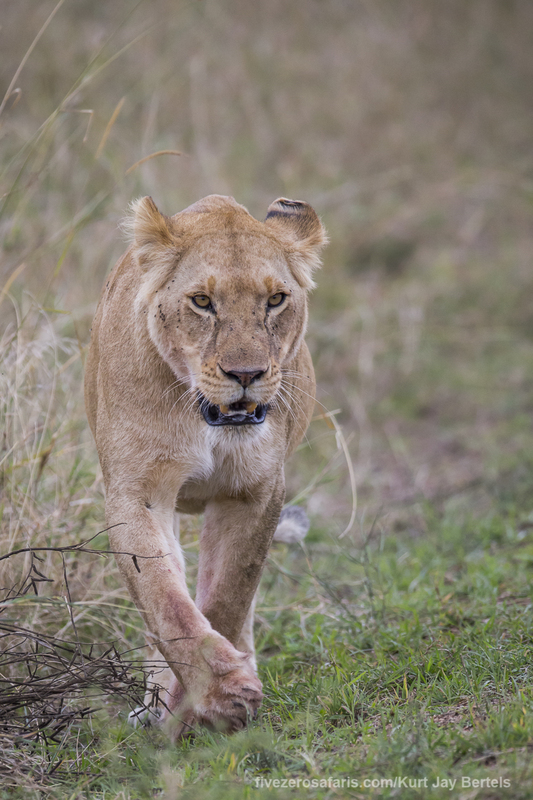 A cheetah chasing and catching a thomson’s gazelle started us off, and was quickly followed by a large male lion dragging his topi kill away from some vultures that looked a little too interested for his liking. 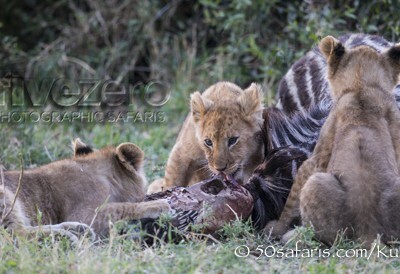 The single lioness with the 3 small cubs were working their way through a large zebra kill, while the mother with the 4 cubs played happily next to a warthog that didn’t make it. 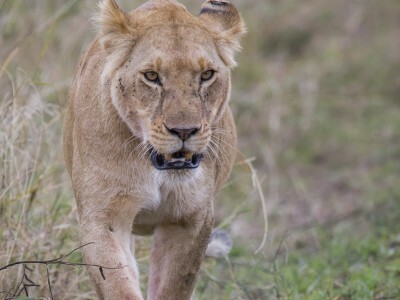 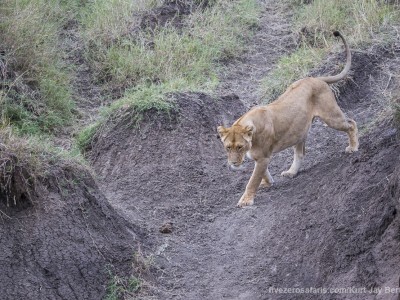 Earlier on on the day, we found 6 sub-adult lions reuniting after being briefly separated, and in between all the cat action, many herds of elephants were seen along with numerous buffaloes. 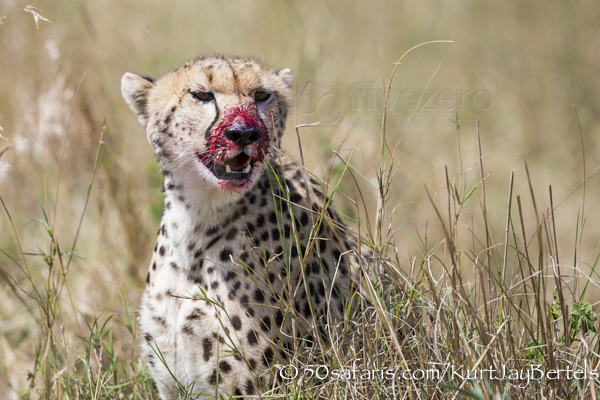 Published on September 11, 2013 by Kurt Jay Bertels. 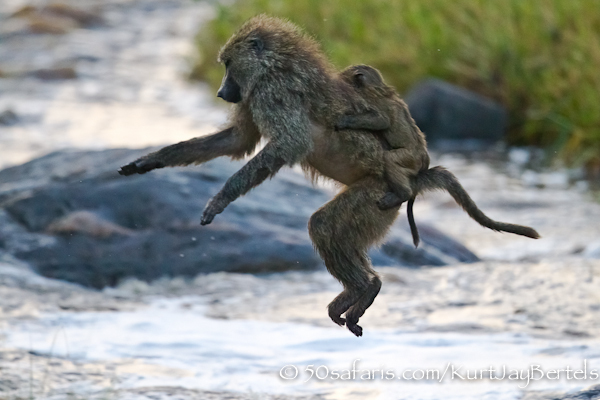 Having recently come back from Kenya, and having witnessed the most incredible wildlife spectacle first hand, I thought it was only fair to share with you some of the madness! 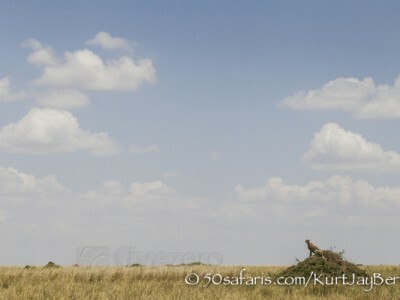 I will be leading The Great Migration Safari again next year, and am already looking forward to getting back amongst the tens of thousands of wildebeest as they gather on the banks of the Mara River waiting to cross, as well as all the predators that roam those beautiful, wide open plains. 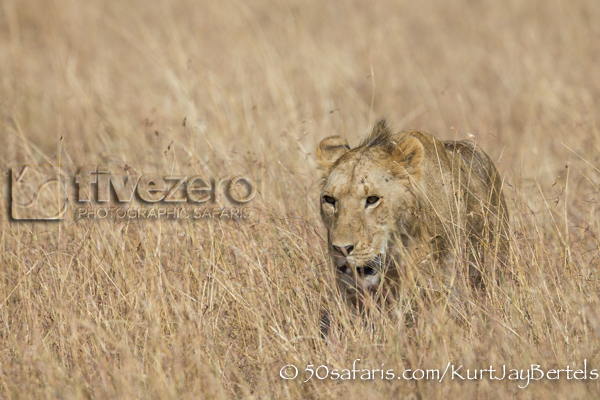 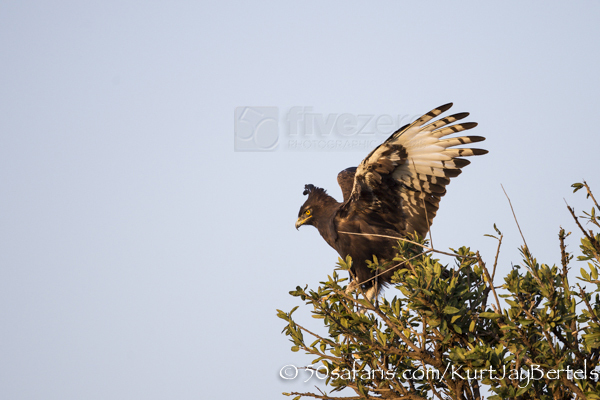 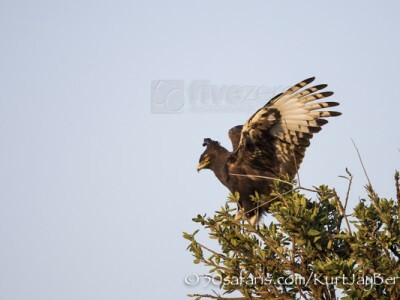 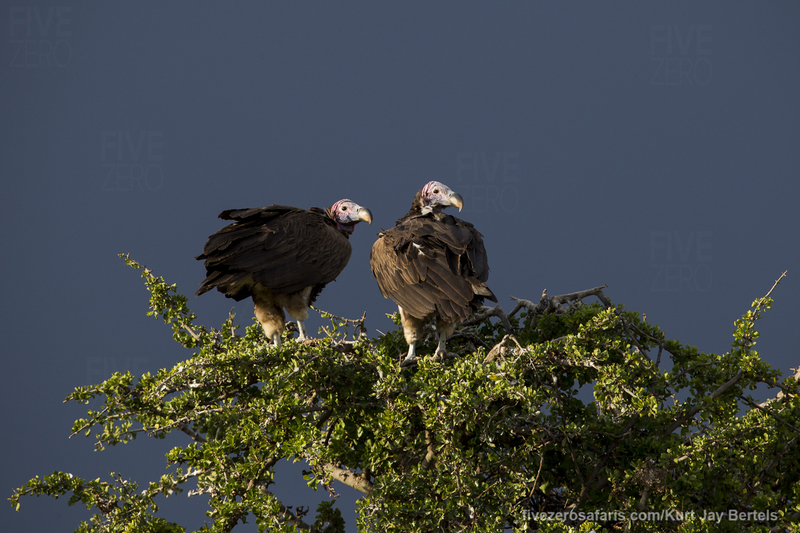 The photographic opportunities are endless, as animals seem to constantly fill the viewfinder of your camera. 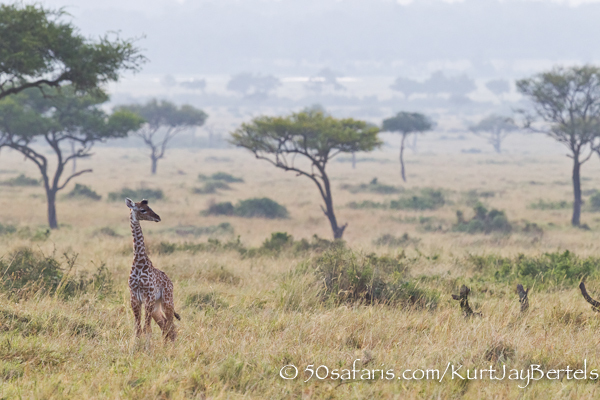 It really isn’t fair that one place on earth can have so many animals, with so much diversity! 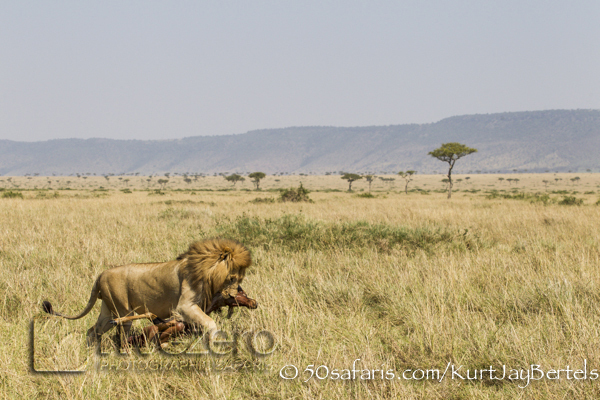 It is a photographic safari like no other. 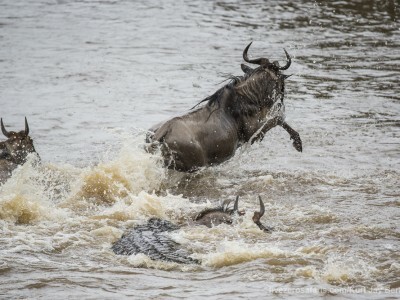 It does all come down to the famous crossing of the Mara River though. 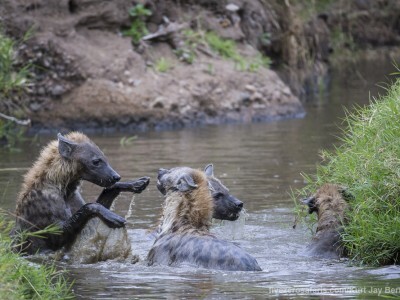 There is something about that experience which is quite difficult to explain – you can watch it on TV a hundred times, but you will never get the level of panic at each crossing. 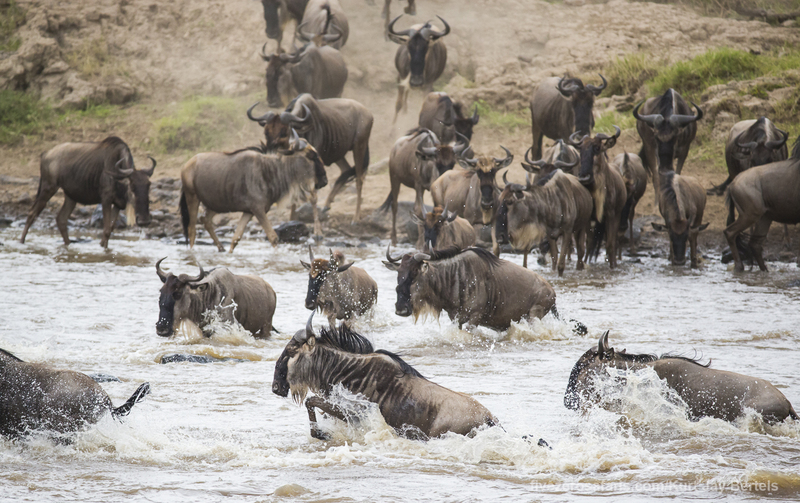 The wildebeest herd is extremely sensitive, which seems odd given that they are not the sharpest animals around, and even the slightest disturbance will turn the mega herd around, delaying the crossings. 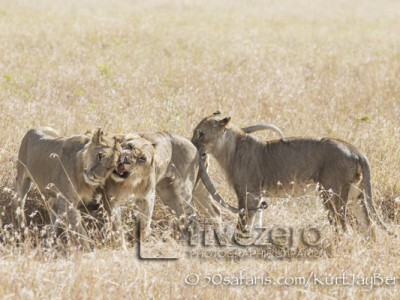 They seem to do their best not to cross, but the overwhelming instinctive drive eventually pushes them to do it. 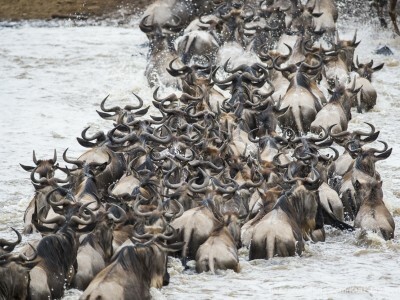 The tension that emulates from the herd is palpable, as they pluck up the courage to start the crossing. 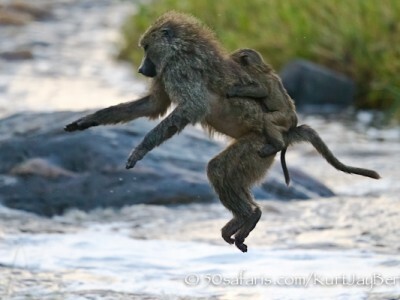 Eventually, one brave/stupid/pushed wildebeest makes the leap of faith, and is rapidly followed but the rest of the herd. 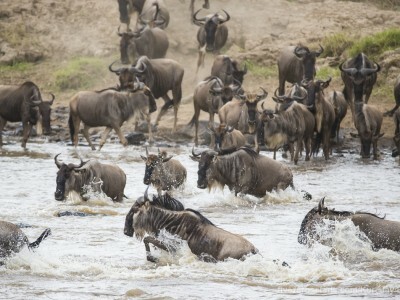 The tension climbs to a maximum in seconds as literally tens of thousands of wildebeest and a few hundred zebra hustle to get across the most daunting challenge that faces them on their yearly migration. 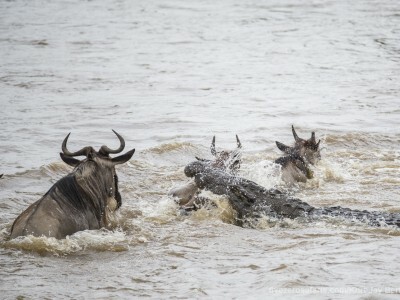 Add a crocodile to the mix, and the panic reaches melting point. 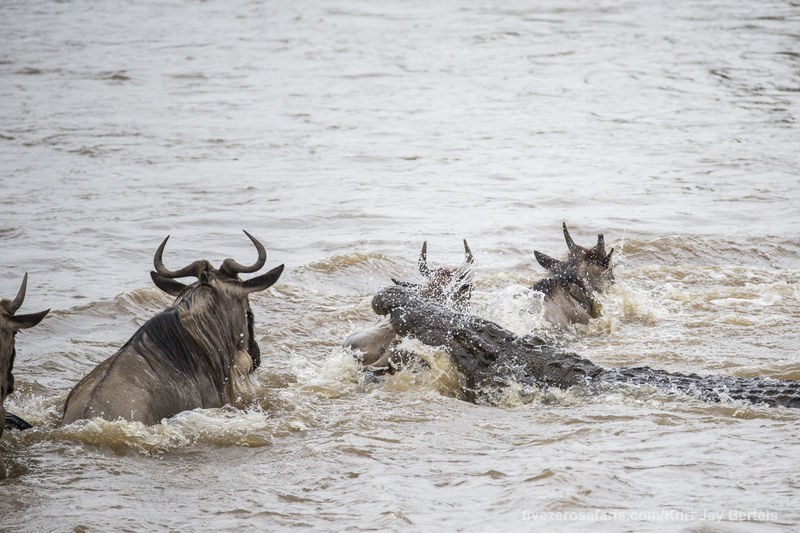 The wildebeest do their best, but many succumb to the strong current, and even stronger crocodiles. 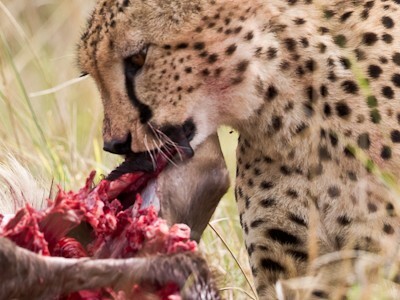 The only way to truly understand what happens each year, and what has happened for millions of years, is to experience it. 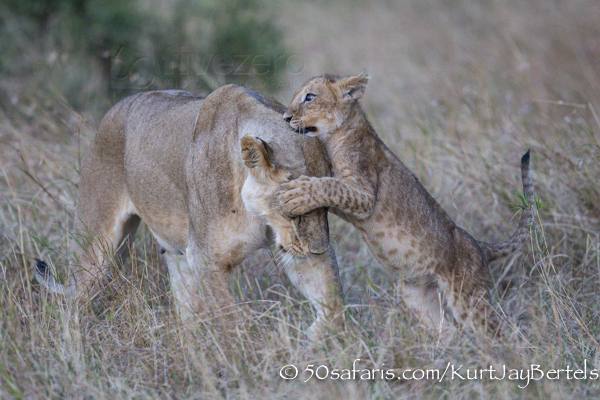 Have a look at the little teaser I have posted for you, which should whet your appetite! 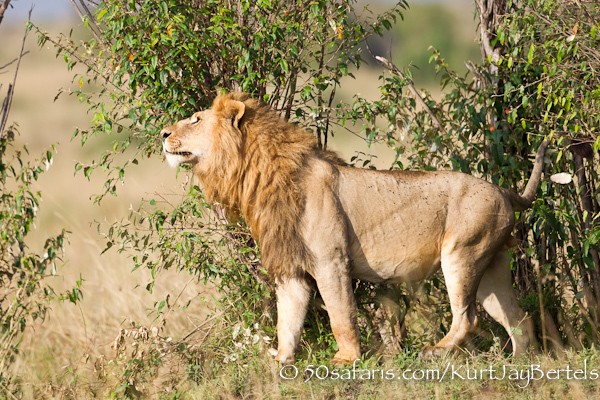 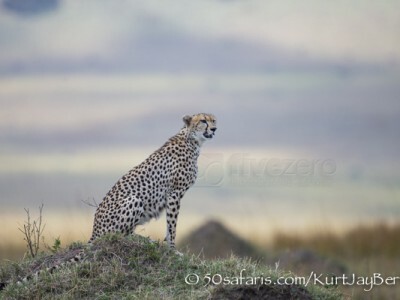 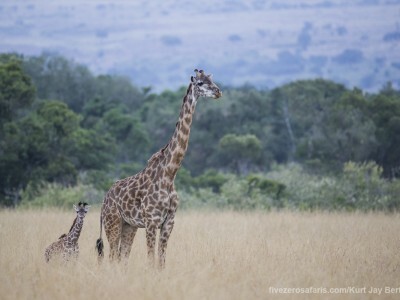 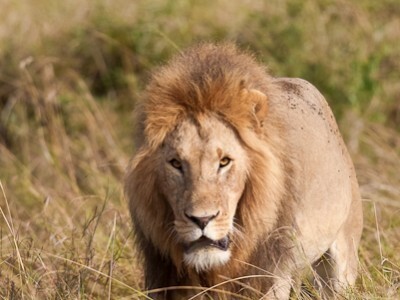 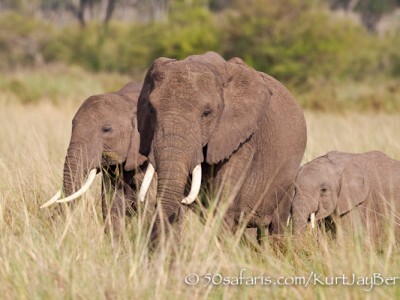 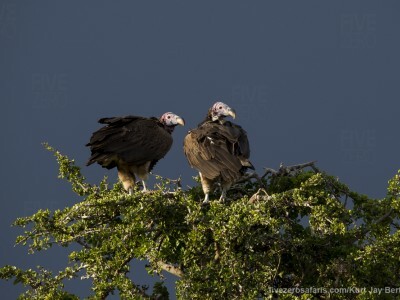 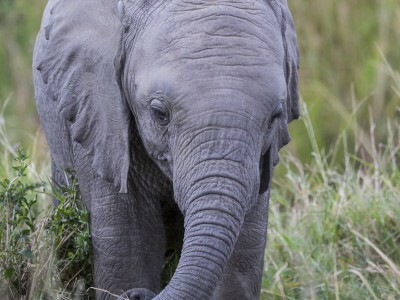 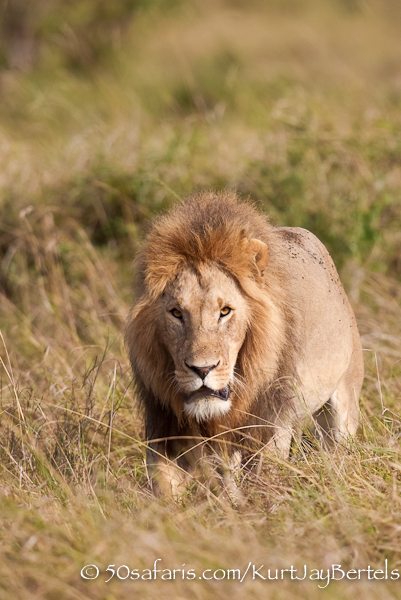 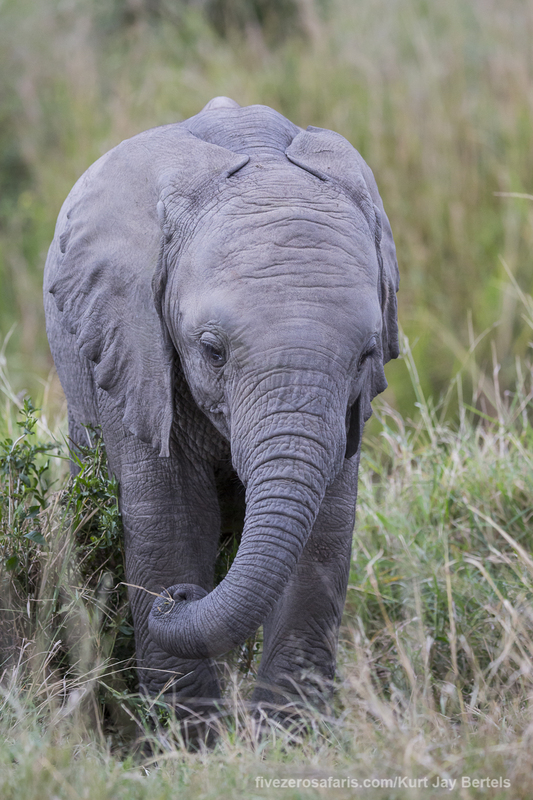 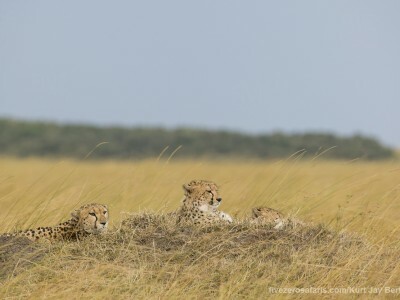 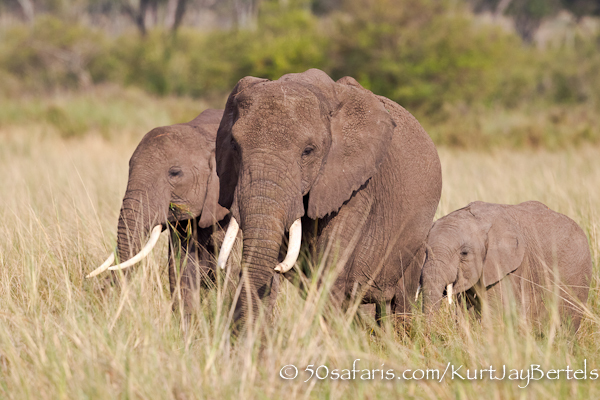 If you would like to join me on next year’s safari, click here! 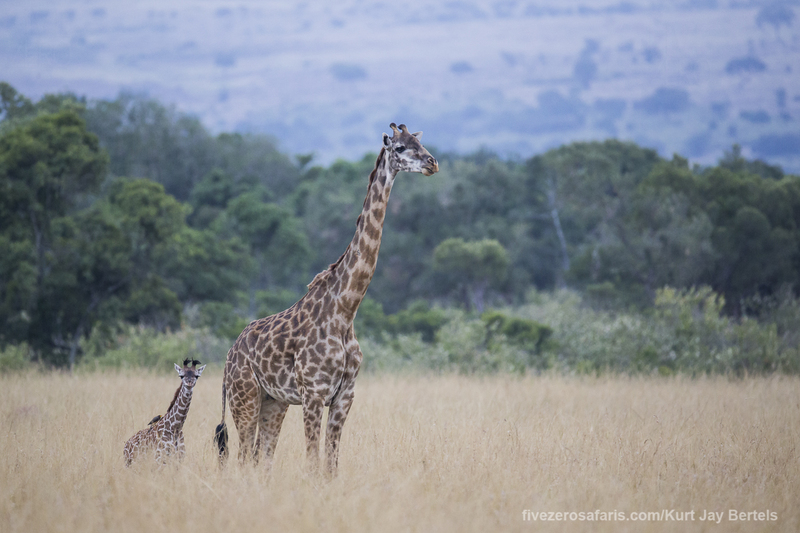 See you soon on Safari! 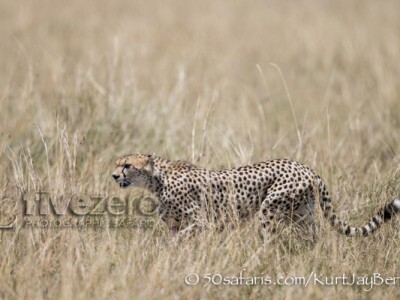 Published on October 17, 2012 by Kurt Jay Bertels. 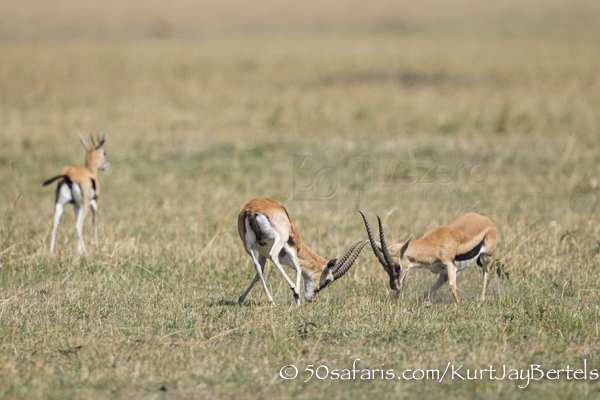 Our final morning drive proved to be as productive as the rest of the safari. 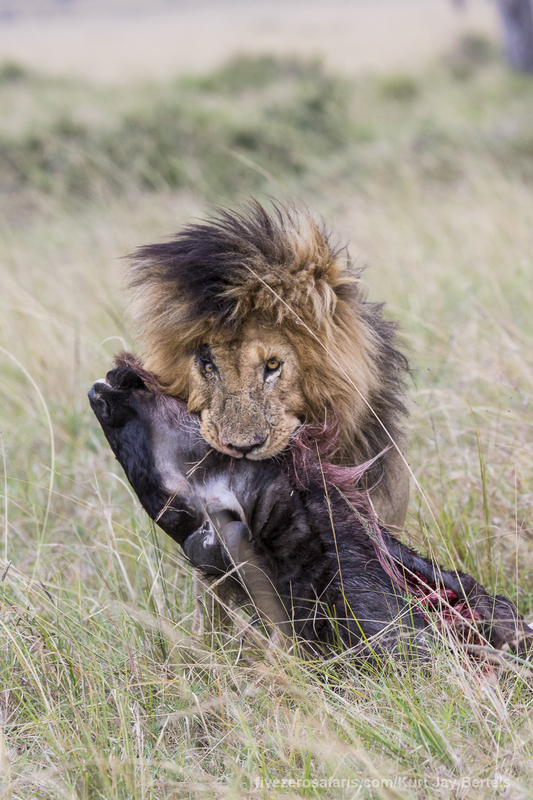 Great sightings of two large male lions, two male cheetah on a fresh wildebeest kill, a baby giraffe and a troop of baboons giving us a show to remember – all topped off by mating ostriches! 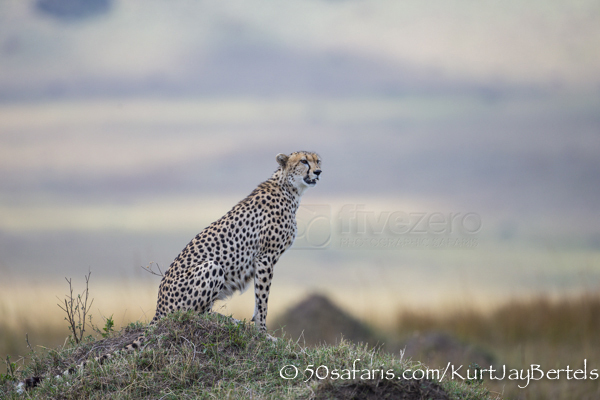 Published on September 27, 2012 by Kurt Jay Bertels.